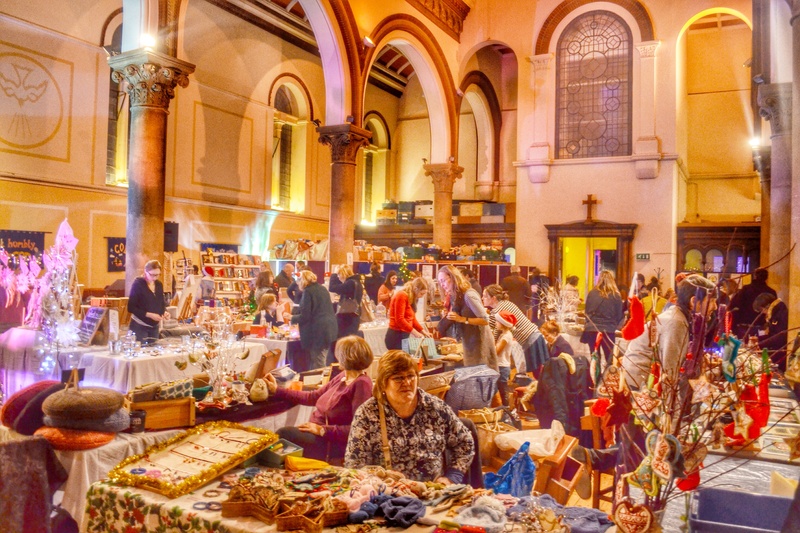 Feast brings its final event of the year to West Norwood on Saturday 12 December from 4pm to 8pm: Christmas Lights, the glorious Christmas market hosted both inside and in the grounds of St Luke’s. 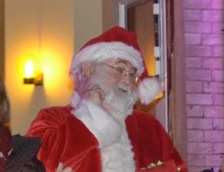 Santa will be there to turn on the lights that will illuminate the gardens of St Luke’s at 4.15 – and he’ll be wandering around inside like he usually does, chatting to small people about what they’d like for Christmas. Children will all get a chance to make their very own paper bag lantern with a (not real) candle inside – we’ll be having lantern parades in the grounds of St Luke’s at around 5.20pm and 6.20pm after the carol singing. This year we have all the lovely artisans and makers you come to expect from Feast, all doing what they do best. 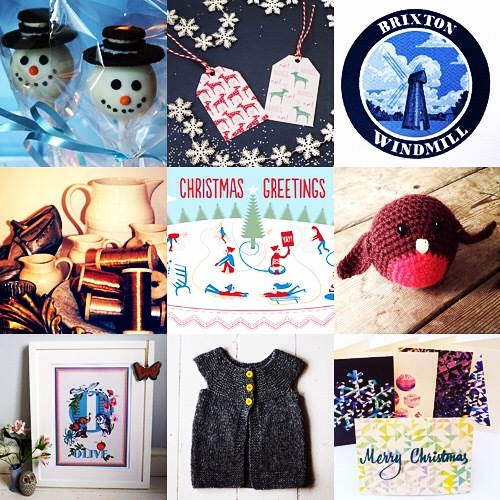 We’ll have chocolates, knitwear, spices, chutneys & preserves – all sorts of gifts for all sorts of people. will be there with her Lido inspired gifts (for the keen swimmer) and you can even get your front door a present – a traditional Christmas wreath or even a crochet one like this. And it’s your last chance to pick up a Feast tea towel or a pack of Feast Christmas cards! 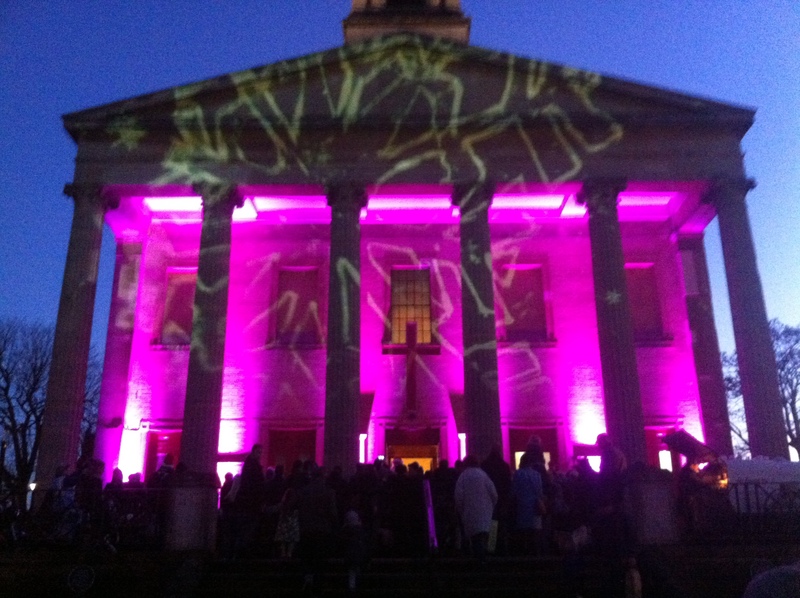 This year Feast is putting on the light show, we hope you like it. We know it will be cold so we have hot drinks from Dungarees Coffee and the bar will have no fewer than four pots of mulled wine on the go. There’ll be lots of hot food for big and small people (with child sized portions even) from Get Wurst sausages, Reggae Britannia’s Caribbean food and Feed me Paella (who, rumour has it, will be making hot chocolate with rum in it). If that doesn’t warm you up enough, we’ll have you all tapping your feet to keep warm – with this lovely array of music and mayhem…. *PS when it says ‘Carol Singing for Everyone’ that does actually mean YOU. See you at Feast Christmas Lights!